The EQUIS Accreditation Board of the European Foundation for Management Development extended the accreditation of GSOM SPbU for the next 3 years. This decision was made at the meeting of the Board, which was held on December, 13. This year, the EQUIS Peer Review Team (PRT) positively evaluated the development of Graduate School of Management SPbU, highlighting the successes in four areas. First, experts pointed the spirit of a cohesive School’s community, and the variety of opportunities that are provided to both students and graduates. The commission also drew attention to the effectiveness of GSOM SPbU cooperation with corporate partners: “This commitment and engagement from industry is certainly an example of best practice,” the PRT report says. In addition, members of the commission highlited the level of training of students at the School and assessed the quality of educational programs: "The PRT congratulates GSOM for the exemplary quality of the processes used to develop and manage the School’s programme portfolio." The EQUIS Peer Review Team worked at GSOM SPbU from September, 11 to September, 13. Experts spoke with professors, program managers, staff, students, alumni, and representatives of corporate partners. In total, they conducted 17 group interviews with more than 70 school representatives. After the completion of the PRT work, Konstantin Krotov, Head of School, said: “During the last three years since the previous accreditation, we have managed to achieve significant progress on most of the EQUIS standards. But much remains to be done — we will continue our daily work to improve the portfolio of programs, improve research, expand international relations, develop innovations and strengthen cooperation with corporate partners”. The institutional accreditation EQUIS (European Quality Improvement System) was established in 1998 by the European Foundation for Management Development. 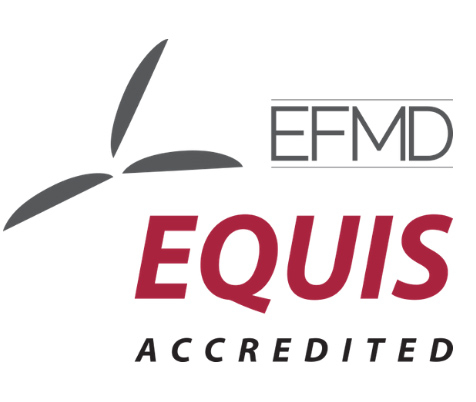 EQUIS is one of the three most prestigious international accreditations, so-called "Triple Crown" of accreditations — the global benchmark for the quality of business education. EQUIS accreditation is assigned to business schools and university departments that provide business and management education programs. In 2012 GSOM SPbU was the first business-school in Russia to receive EQUIS accreditation and still remains the only Russian rep among accredited universities.